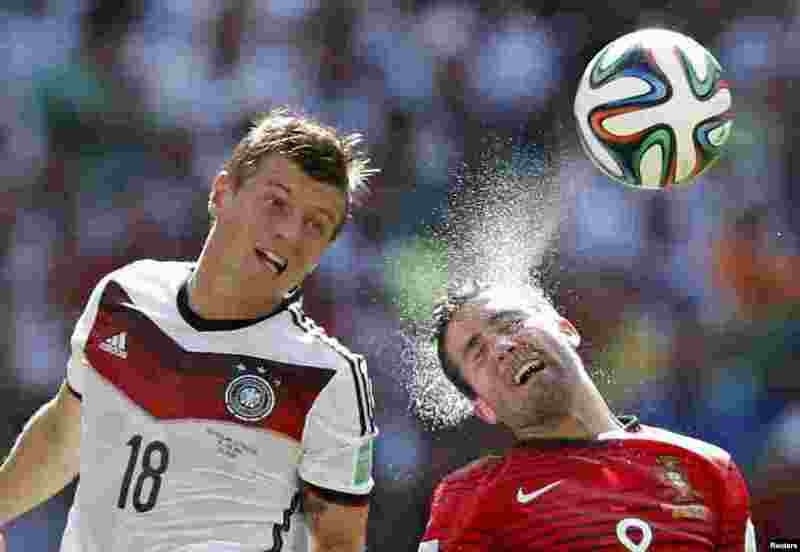 1 Germany's Toni Kroos (L) and Portugal's Joao Moutinho fight for the ball during their 2014 World Cup Group G soccer match at the Fonte Nova arena in Salvador, Brazil, June 16, 2014. 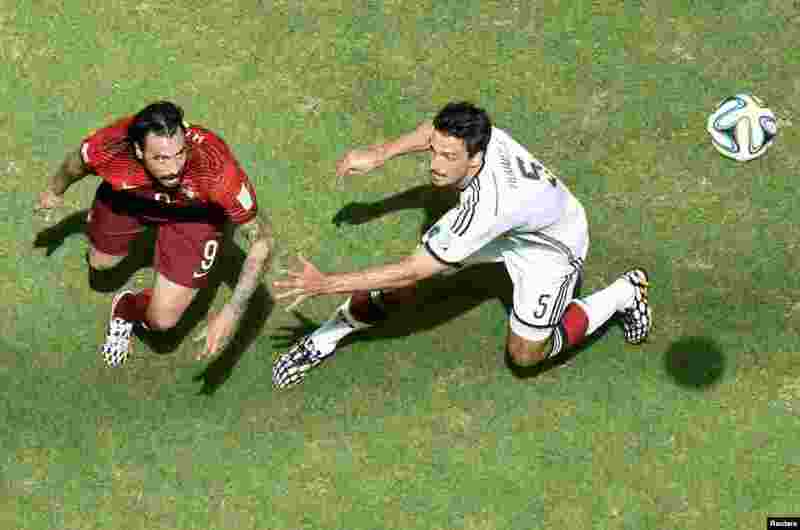 2 Portugal's Hugo Almeida fights for the ball with Germany's Mats Hummels during their 2014 World Cup Group G soccer match at the Fonte Nova arena in Salvador, June 16, 2014. 3 Germany's Thomas Mueller (L) shoots to score against Portugal for his hat-trick during their 2014 World Cup Group G soccer match at the Fonte Nova arena in Salvador, June 16, 2014. 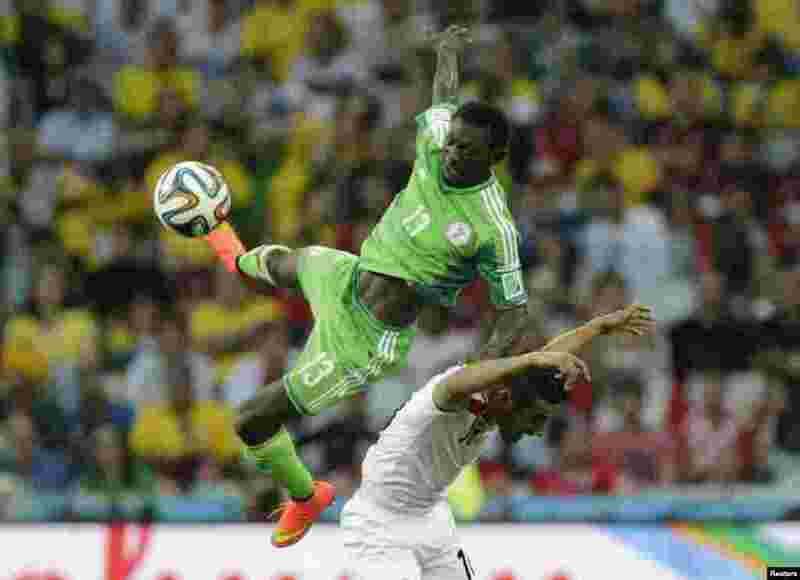 4 Nigeria's Juwon Oshaniwa (L) jumps for the ball with Iran's Reza Ghoochannejhad during their 2014 World Cup Group F soccer match at the Baixada arena in Curitiba, June 16, 2014.